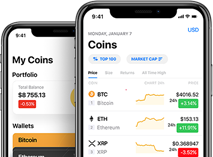 Instant Bitex is a coin exchange from the United Kingdom. The company running the exchange is INSTANT BITEX LIMITED (company number 11353300). The registered address of this company (Kemp House, 160 City Road, London, United Kingdom, EC1V 2NX) is also presented at the website. Instant Bitex does not accept any deposits of fiat currency.